This type of glue labeler wraps labels completely around a container, gluing the overlapping edges together using hot or cold glue. 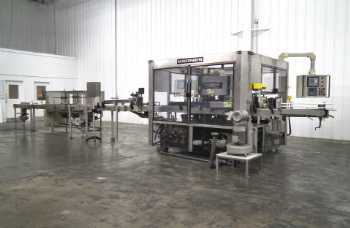 Wraparound glue labelers dispense labels so that the non-sticky end part of the label touches a belt next to the product conveyor. On the opposite side of the belt is a bumper that keeps the product in contact with the belt. When the container approaches the labeler, it catches the label and the belt rolls the container around, attaching the entire label. 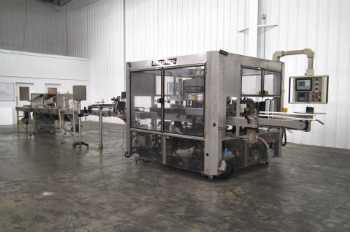 Wraparound glue labelers are most frequently used on the body or neck of cans and bottles.